The University of Maryland has announced it will stop playing the official state song because of its ties to the Confederacy. As furor over Civil War monuments escalates, some activists are arguing the US national anthem also has racist roots. 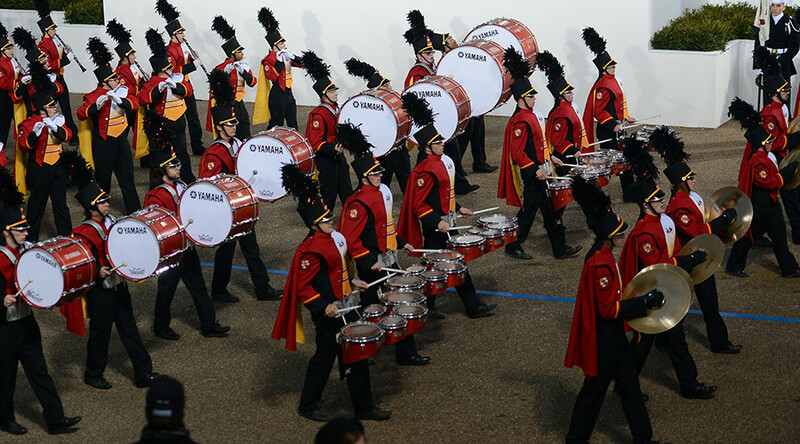 On Monday, the marching band at the University of Maryland in College Park announced it will drop its long-time practice of playing “Maryland, My Maryland” before football games. The band decided to suspend the controversial tune to “evaluate if it is consistent with the values of our institution at this time,” university spokeswoman Katie Lawson told the Baltimore Sun. “Maryland, My Maryland” is set to the tune of the Christmas carol “O Tannenbaum,” but its origins lie as a pro-Confederate battle hymn. Among its nine verses is a call to action against President Abraham Lincoln and the “Northern scum.” Maryland was placed under military occupation by Lincoln in 1861, when eleven Southern states left the US and created the Confederacy. Lawmakers in the state have tried for years to change the song, either by rewriting the lyrics or scrapping it entirely, but without success, the Baltimore Sun reported. The move comes after the violent clashes in Charlottesville, Virginia earlier this month sparked by the decision of city authorities to remove a monument to Confederate general Robert E. Lee. 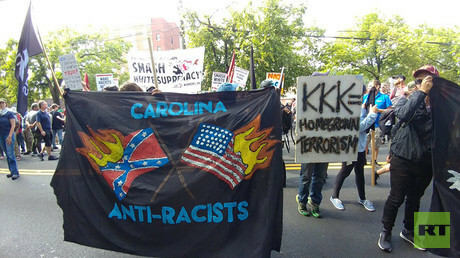 White nationalists that rallied to protest the decision clashed with counter-protesters including masked “Antifa” activists and members of the Revolutionary Communist Party. Later that day, a car driven by one of the white nationalists crashed into the crowd of counter-protesters, killing one woman and injuring 19 more people. In the aftermath, authorities in Baltimore, Maryland ordered the removal of three Confederate monuments. The city’s mayor defended the decision to conduct the removal during the night by saying she feared violent protests. The city also removed the statue of Chief Justice Roger Taney, who wrote the Supreme Court’s 1857 Dred Scott decision declaring that escaped slaves had no legal rights in the US. The backlash against the long-defeated Confederacy has gone so far that a pastor in Chicago, Illinois has requested that a public park named after George Washington be renamed, because the first president was a slave-owner. Meanwhile, Salon columnist Jefferson Morley has accused the US national anthem, the “Star-Spangled Banner,” of having a racist history. Written by Francis Scott Key during the War of 1812, the song contains a lyric about the “the hireling and slave.” A regiment of former slaves, the Colonial Marines, was part of the British expeditionary force that had defeated the Americans at Bladensburg, just weeks before the failed attack on Fort McHenry that inspired Key’s lyrics. President Herbert Hoover made the “Star-Spangled Banner” the official anthem of the United States in 1931. Morley has argued that Key’s song was elevated at the urging of Confederate supporters, while pacifists, liberals and African Americans favored “America the Beautiful” or Julia Ward Howe’s “Battle Hymn of the Republic,” a call to exterminate slavery favored by Northern troops during the 1861-65 conflict. Last August, National Football League quarterback Colin Kaepernick touched off controversy by refusing to stand during the national anthem at the beginning of games, saying it was a protest against police brutality. "I am not going to stand up to show pride in a flag for a country that oppresses black people and people of color," Kaepernick told NFL Media in an exclusive interview after the August 26, 2016 game. "To me, this is bigger than football and it would be selfish on my part to look the other way. There are bodies in the street and people getting paid leave and getting away with murder." 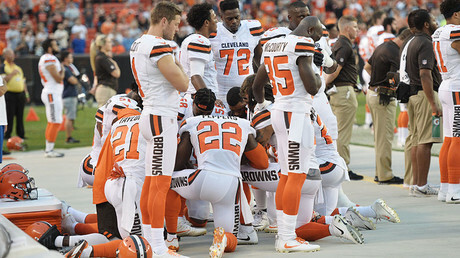 Kaepernick’s stand prompted a number of other African-American athletes to engage in similar protests, including NBA players Dwayne Wade, Chris Paul, LeBron James and Carmelo Anthony, as well as and several WNBA players. After the 2016 season, Kaepernick opted out of his contract with the San Francisco 49ers, but no other NFL team has offered him to play.